On every hockey team, you have your top line – the stars who get all of the glory and attention (not to mention, command the big bucks). Just as important are the role players. Those who quietly do their job out of the spotlight, and to less fanfare. Often their contributions to the team’s success go unnoticed, but that doesn’t make them any less important. In the world of crop nutrients, Sulphur could be considered the ultimate team player. While considered a macronutrient, it doesn’t receive near the attention of the ‘big names’ on the NPK-line (Nitrogen, Phosphorus and Potassium). Yet Sulphur plays an important role in crop development, which is why it should be on your radar at all times. Sulphur does a lot of things that make it indispensable. It is essential in the production of chlorophyll, which is necessary to photosynthesis and allows plants to produce starch, sugars, oils, fats, vitamins and more. It is also required for nodule formation on root hairs of legume crops. Three key amino acids which are central to protein production require Sulphur as the central element (cysteine, cystine and methionine). According to The Sulphur Institute, “about 90% of plant S is present in these amino acids.” Sulphur is also responsible for enzyme activation and ultimately contributes to yield quality. 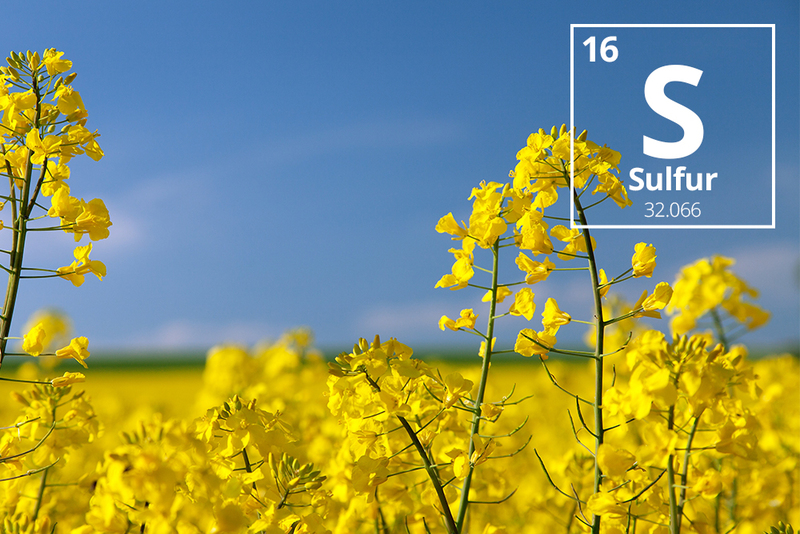 Sulphur and Oilseeds: Sulphur is essential to the synthesis of oils, which is central to a productive oilseed crop. According to the Canola Council of Canada website, canola requires the most Sulphur of any crop grown in Western Canada. Looking at the Taurus Crop Nutrient Uptake and Removal Chart , it shows that canola will uptake .6 lb per bushel. Sulphur demand for canola is greatest during flowering and seed set. Signs of deficiency include: top leaves that are small, narrow, often cupped; pale yellow leaves and flowers; short pods with limited seed set; and patchy fields. Sulphur and Wheat: By contributing to protein and oil percentage in seeds, Sulphur improves grain size and quality in spring and winter wheat crops. Crops rich in Sulphur are known for superior milling and baking quality. Interestingly, wheat may lose up to half of the total plant Sulphur between flowering and maturity. Sulphur deficiency is becoming more common and is often misdiagnosed as nitrogen deficiency. Signs include stunted growth and yellowing on the young leaves (at the top of the plant). Sulphur, Corn and Soybeans: Both crops benefit from better overall nutrient uptake and increased protein levels. Sulphur and Alfalfa: Alfalfa takes up Sulphur at a remarkable rate. Sulphur contributes to the health and vigour of Alfalfa. Sulphur and Potatoes: Having ample Sulphur benefits tubers, as it aids with the production of starches. In hockey, you don’t want a player who gets hot and cold. You want someone reliable: someone you can count on to be there when called upon. The same goes for Sulphur. Plants require a steady supply of Sulphur throughout the growing season. This is why a controlled release of Sulphur fertilizer is beneficial. It ensures the plant gets as much or as little Sulphur as required, according to plant demand. There are several ways to get Sulphur into your fields. Sulphate fertilizers are the most common. They have the advantage of offering up other nutrients (such as ammonium, calcium, potassium and even magnesium). Sulphate fertilizers can provide immediate and controlled release of S.
Ammonium sulphate is regarded among the most reliable and consistent sources of Sulphate. 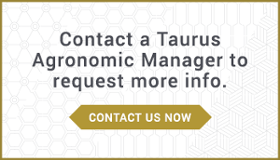 The one knock against it is that being hygroscopic, it can start to activate due to moisture in the air, which can lead to nutrient loss and make handling a challenge. Natural and synthetic gypsum is another way to get Sulphur. Today’s new synthetic products offer greater consistency and have emerged as a practical alternative to ammonium sulphate. SUL4R-PLUS fertilizer is a synthetic gypsum-based fertilizer that is attracting attention because of the way it is helping reduce the environmental impact of coal-fired power plants. Sulphur dioxide is removed from the plant emissions and converted into raw synthetic gypsum. The SUL4R-PLUS patented process then transforms this synthetic gypsum into an agricultural-grade fetillizer. It is a win-win for the growers and the environment. Thiosulphates are liquid products that can be mixed with a variety of fertilizers to add a Sulphur component. In warm soil conditions, it can be converted to Sulphate within one to two weeks. 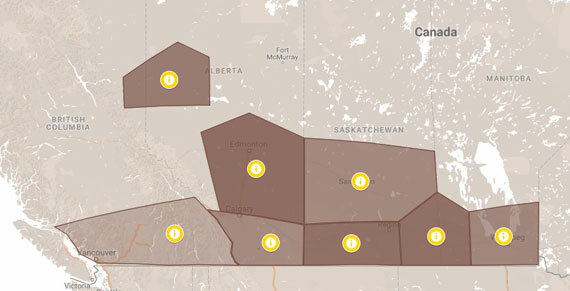 MAP and DAP are popular fertilizers among western Canadian growers and are both sometimes sulphur-enriched. Manure and compost are both natural sources of Sulphur (typically containing between 0.3-1% based on dry weight). Due to variability, the S content can be quite inconsistent. Finally, there is Elemental Sulphur. It can be used to lower the pH of basic soils. Because it needs to be broken down into a plant-available sulphate through oxidation, it is typically not available for some time and must be applied far in advance. We hope this gives you a greater appreciation of the important role Sulphur plays in crop production. Keep your stick on the ice, and guard against Sulphur deficiency. Ask your agronomist for coaching tips to help choose the right fertilizer based on your soil conditions and needs.